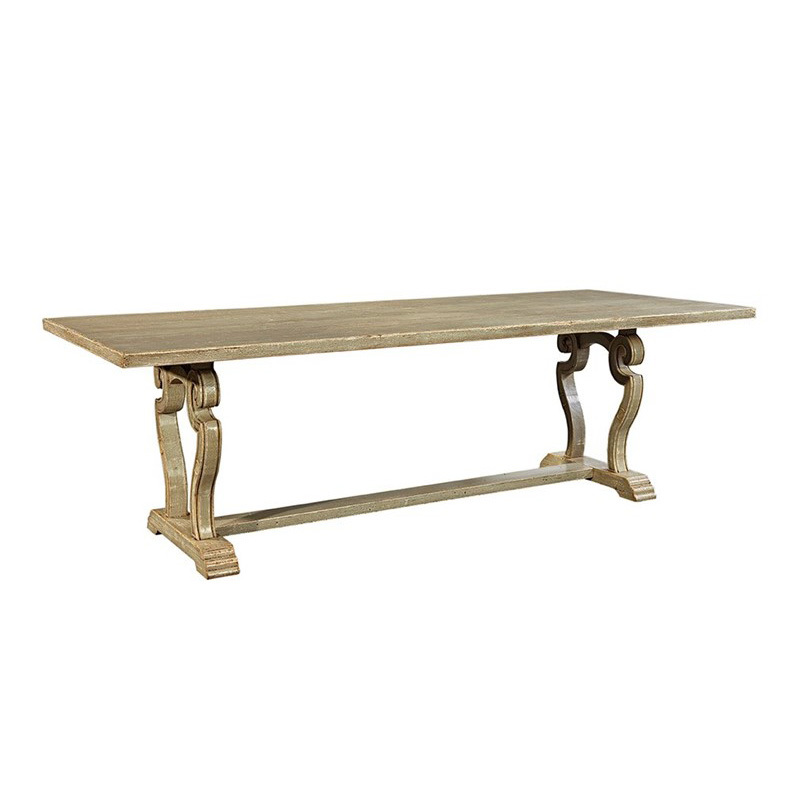 The Furniture Classics 25-07 Orbach Dining Table is available in Hickory Park's, North Carolina Furniture Galleries. Hickory Park may be restricted from showing prices, however please select the Click For Quote button and Hickory Park Sales and Design Staff will reply or please call (828) 322-4440 for more information. 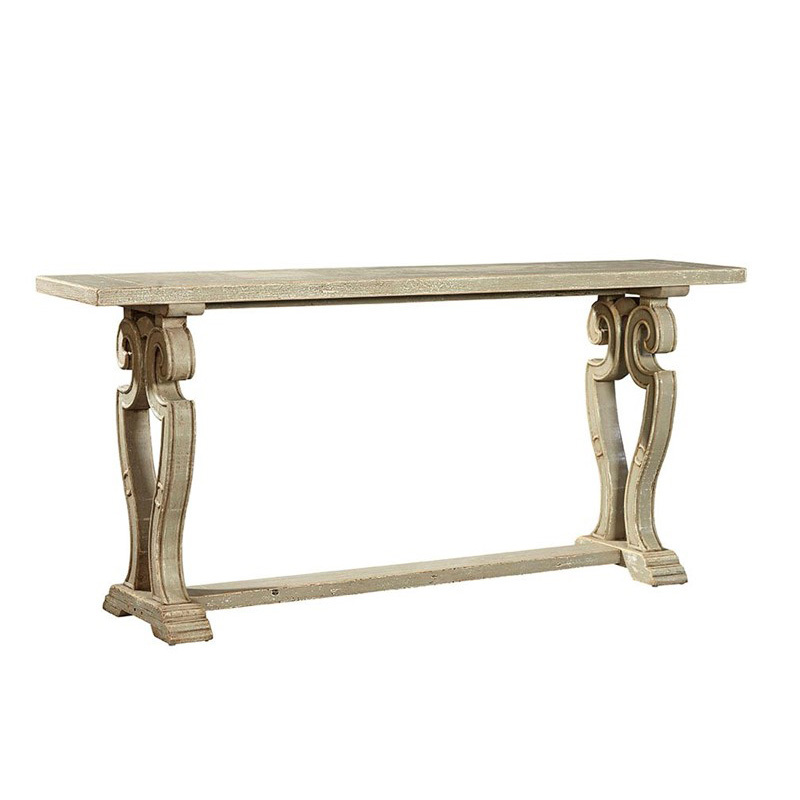 Solid pine glows softly through the distressed grey green finish on this dining table which stretches to accommodate family and friends The distinctive lyre base rests on a stepped bracket base. A graceful and unique dining experience! Click here to receive price quote for Dining Table 25-07 item.